have you tried http://www.eggbid.com/ ? Wow, that is interesting and they are cheap. I'm definitely going to keep that in mind. Thanks! Wow, you really can get everything on ebay! Happy egg hunting! You should look into esnipe.com and snipe the bid. Your chances of getting things at a lower price are much higher. 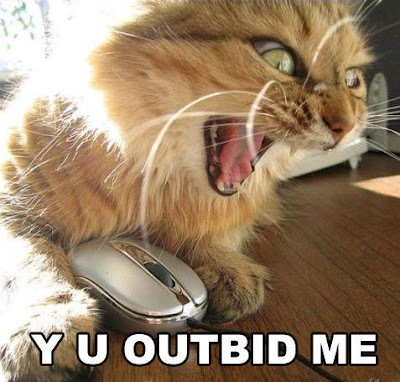 Love the pic of the kitty, I think that I look exactly like that when I am outbid on something that I was certain should be mine. Good luck chick hunting!